In 1998 a group of community leaders came together out of concern for kids on the west side of Springfield, Ohio, and formed SCYM. 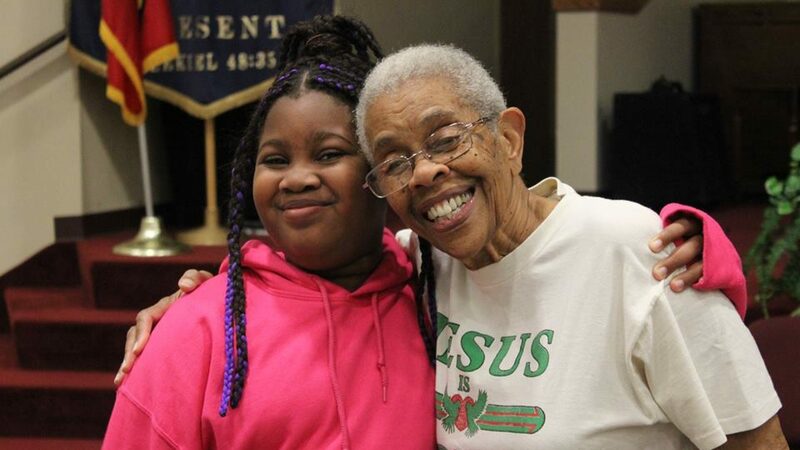 SCYM now serves over 600 elementary and middle school students city-wide each year, with the help of more than 300 volunteers dedicated to “helping kids crush the odds with the love of God.” SCYM is a 501(c)3 nonprofit organization. Click here to view our Guidestar profile, including Form 990. Prior to starting with SCYM in 2005, Faith spent six years in paid church youth ministry (and thirteen years living in New England.) Faith has loved getting to know the community and working with people from many churches and schools. She and husband Keith have two kids who are Springfield-born and attend Springfield City Schools. They love taking family adventures together, and being part of High Street Church of the Nazarene. Tyler has been at SCYM since 2011 and directs the Manpower and Wise Guys programs, as well as working with Camp Boost. A Springfield native, Tyler and his wife Krista have two sons and one daughter, whom he is actively instilling with his love for baseball and wiffle ball. One of Tyler’s favorite verses for ministry is Luke 18:16: “Let the children come to me. Don’t stop them! For the Kingdom of God belongs to those who are like these children.” (NLT) He and his family attend RiverSong Church. A graduate of nearby Wittenberg University, Jessica joined Team SCYM in 2012, and works with GirlPower as well as Camp Boost. She is part of Champion City Church, is passionate about Springfield, and loves to travel, especially when she can use her German fluency. Jessica is married to Jason and mom to two sweet kids. Eryca brings the unique perspective of being a former SCYM kid! As a middle school student she was part of the STARS Afterschool Program at Westside, as well as the beginning stages of GirlPower. Later she began attending Westside where she began her walk with Christ. She is a graduate of Springfield High, Clark State, and Wright State University. She loves coffee, to travel and go on adventures, and attends Champion City Church. Eryca is married to Bryon, whom she first met at Clark Middle School, and they have a daughter. A graduate of Shawnee and Cedarville University, Chelsie was a part of the Biz Ba$ics pilot at Southgate. She’s traveled all over the world and has a passion for language. Some of the languages she has studied are French, Russian, Italian, Welsh and Spanish (fun fact: there are 6 different ways to say “yes” in Welsh). Chelsie has a passion for community restoration, attends Central Christian, and doesn’t go anywhere without a pen and paper. Aaron is a lover of Jesus and enjoys music and ministry. You can find him all over town doing things the Lord. He is married to Cassandra and they are a part of Restored Life Ministries.